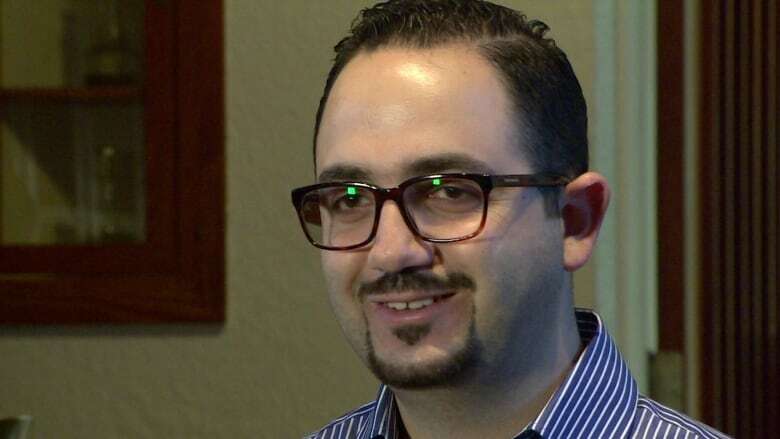 Bassel Sayegh, one of a dozen Syrian refugees sponsored to come to Canada through the Catholic Archdiocese of Edmonton, says he can't wait to start his new life in Edmonton, but feels guilty for leaving his family behind. "I'm happy and everything is good, but I want to share this happiness and this kindness with my family. I feel guilty I'm here and I'm warmed (by) so many people and so many things." He hopes one day to bring to Canada his family, who live in Aleppo, Syria, once one of the most ancient and cultured cities in the world, but now a war zone. "They have nothing; no electricity. It's difficult. I think about them everyday." Sayegh joins the Dalaa family in Edmonton. 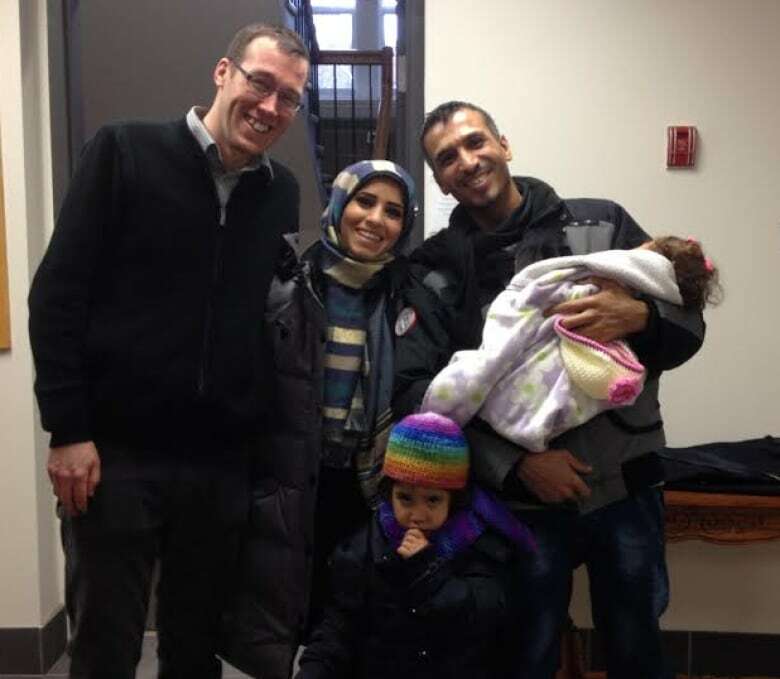 They arrived on Christmas Eve on their fourth attempt to come to Canada. On three occasions immigration officials in Beirut turned them back. "They are doing great," said Father Glenn McDonald, at St. Joseph's College. "We got a place for them here in Edmonton, and we are getting them acclimatised to the weather, to using the bus system. We're getting them language courses." McDonald said Catholic parishes along with the archdiocese and Catholic Social Services were galvanized by the photo of three-year-old Alan Kurdi on a beach in Turkey. "All of a sudden interest just exploded," he said. "People said, 'Yes we want to do this.' People were throwing money at us. "They said, 'Here's our money. Sponsor families'." Sayegh, who speaks English and has a university degree, is looking forward to getting a graduate degree and a job. But though he's starting a new life, his thoughts are with his family back home and a friend lost to a sniper's bullet. "I can't imagine if I see anyone else dying, especially if I know him very much, like my family. I'm very worried about my family."